ANNOUNCING: triFABB March Madness Meetup! 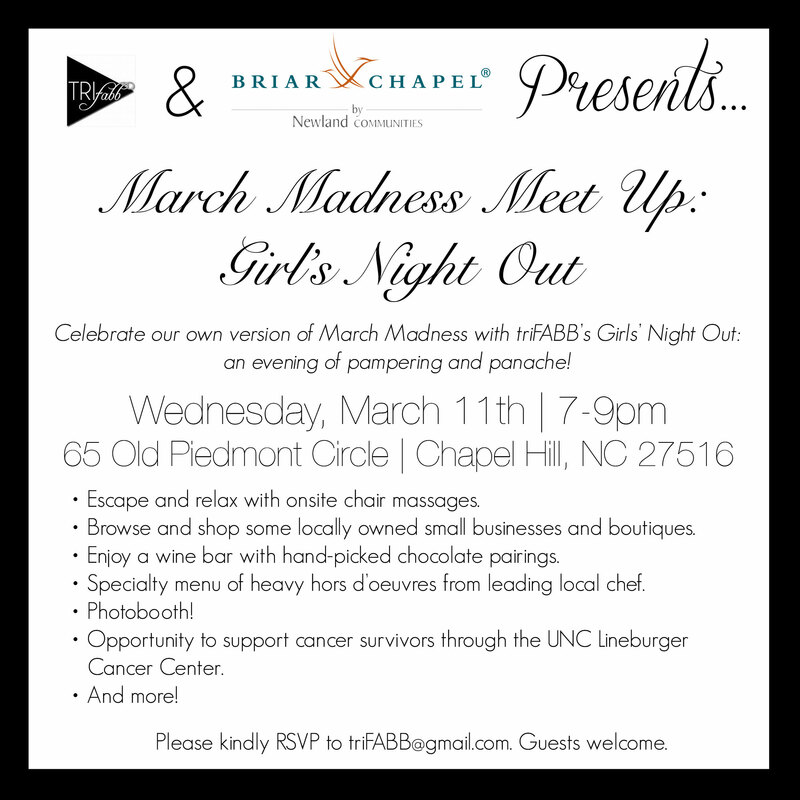 Celebrate our own version of March Madness with TriFABB’s Girls’ Night Out, an evening of pampering and panache! 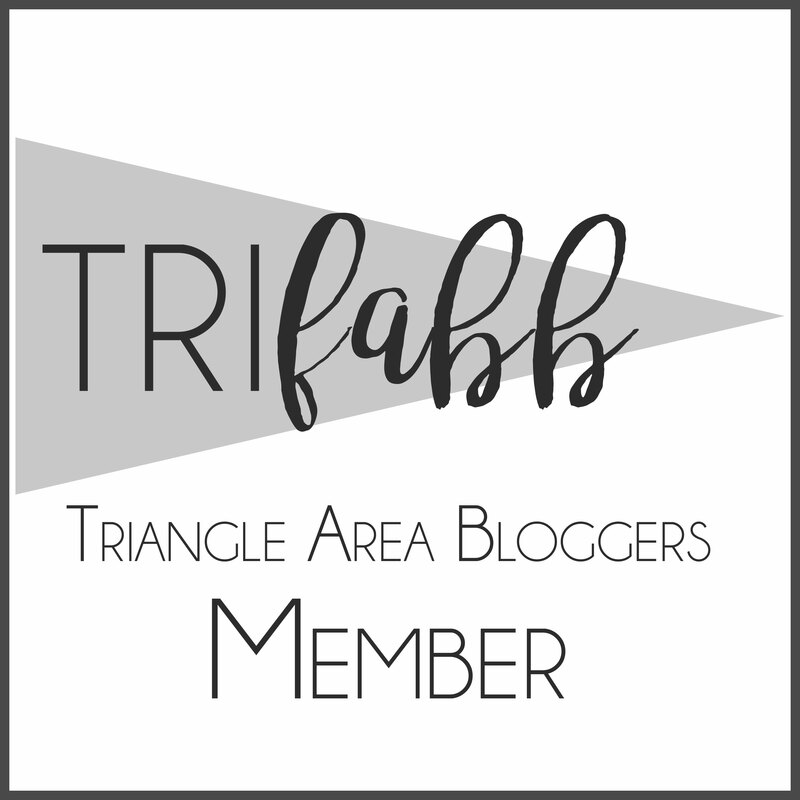 We are SO INSANELY excited to announce our March triFABB meet up! We’re calling it our “March Madness Meet Up: Girl’s Night Out” It’s going to be one for the books… Trust me, you are NOT going to want to miss this one! Hosted onsite at Briar Chapel, the Triangle’s largest green master-planned community and one of the nation’s top-ranked locations to live. Held in the newly unveiled model home by award-winning builder, Garman Homes This “Pinterest-style” fashionista house is hand-designed for the busy mom, showcasing features like a secret “mommy escape room” with a wet bar and TV that plays Bravo! day and night! Tips from Garman’s “Pretty Committee” of leading designers about 2015 design trends. You’re invitied to bring a picture of your own space for free design advice! Escape and relax with onsite chair massages. Enjoy a wine bar with hand-picked chocolate pairings. Specialty menu of heavy hors d’oeuvres from leading local chef. Opportunity to support help cancer survivors through the UNC Lineburger Cancer Center. I told you. It’s going to be AWESOME. Please kindly RSVP to trifabb@gmail.com ASAP. *If you are a small business and would like to have a “table” at the meet up OR if you would like to donate any samples or swag to our swag bags, please contact triFABB@gmail.com!